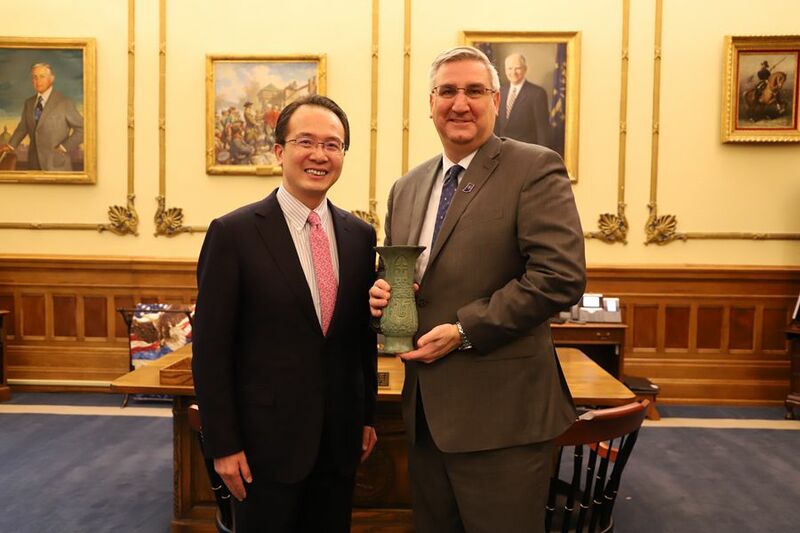 On April 3, 2018, Consul General Hong Lei met with Governor Eric Holcomb in Indianapolis, Indiana. Consul General Hong Lei congratulated Governor Holcomb on his successful governance in the first year. He said that the Chinese side is happy to see the strong cooperation momentum in different fields between our two sides. At the 19th CPC National Congress, China draws a blue print for its development for the next 30 years which will bring more development opportunities to the US including Indiana. We welcome Governor Holcomb to visit China in the near future to further expand pragmatic cooperation between the two sides. Currently China-US relations are faced with some challenges. We hope that the state government of Indiana could play an active role in facilitating the development of a healthy and stable bilateral relationship. Governor Holcomb said that the cooperation between Indiana and China has been booming in recent years, creating substantial benefits to the Indiana people. The state government of Indiana attaches importance to developing partnership with China and welcomes more Chinese companies to invest in Indiana. Indiana also hopes to see more exchanges between Indiana and Chinese colleges and education institutes. I look forward to visiting China within this year to further promote the cooperation and exchanges between our two sides. 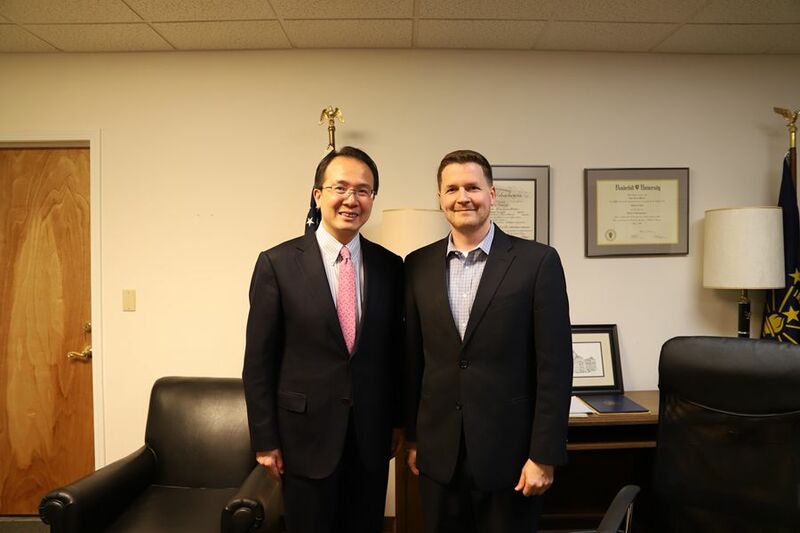 Consul General Hong Lei also visited the district office of Congressman Luke Messer in Shelbyville, met with regional director Josh Webb and exchanged opinions on relevant issues. · Consul General Hong Lei Visited Cummins Inc.